Friday’s Competition and Markets Authority (CMA) report on legal services has reignited the debate over independent regulation, with both the Solicitors Regulation Authority (SRA) and Bar Standards Board (BSB) welcoming the call for separation from their representative bodies. Though the report saw pros and cons in both retaining and replacing the current regulatory regime, the CMA did come out in favour of the legal regulators having “full independence” from the providers they regulate. Just the previous day, the Ministry of Justice had said that it would consider the detail and timing of a consultation on regulatory independence, “in the context of the preliminary findings of the Competition and Markets Authority study”. SRA chief executive Paul Philip said: “I am pleased that as a key principle the CMA has said that regulation should be fully independent from the providers of legal services. BSB director-general Dr Vanessa Davies said she too welcomed the CMA’s support “for the principle that regulators must be fully independent from the providers whom they regulate”. The representative bodies, unsurprisingly, took the opposite view. Law Society chief executive Catherine Dixon said the current system “seems to be working effectively and importantly regulation is operationally independent”. 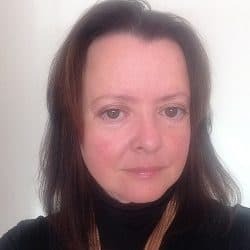 She added: “Although we don’t think now is the time for change, we do agree that simpler and better regulation which focuses on applying consistent regulatory rules to protect buyers of legal services across the market is desirable. “We think the current definition of regulation is way too broad because it includes professional standards, legal education and training plus entry into the profession, regulatory rules, engagement and awarding the professional title of solicitor. 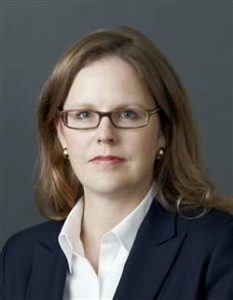 Bar Council chairman Chantal-Aimée Doerries said: “From the Bar’s perspective there is no evidence that the current arrangements for regulation are not working in the way that Parliament intended when it enacted the Legal Services Act in 2007, through the separation of regulatory from representative functions. The Bar’s ring-fenced regulator, the Bar Standards Board, is fully independent of the Bar Council. In response to other aspects of the CMA report, the Federation of Small Businesses – which had told the authority that the legal market was failing its members – welcomed the findings. Chairman Mike Cherry said: “Many small businesses could benefit from greater use of legal services, but currently the market is complex and difficult to navigate. 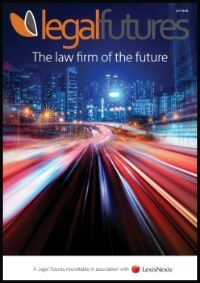 “Smaller firms can often fail to recognise a problem as a legal issue, or assume a legal resolution to be too expensive, time consuming or risky to pursue. 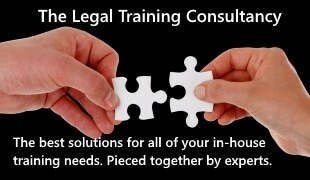 Greater transparency on price and quality of legal services will encourage more small businesses to seek expert advice when necessary. The Legal Services Consumer Panel said the findings reinforced its own report earlier this year on open data, which showed how the legal sector is trailing behind comparable sectors in giving consumers the information they need to make informed decisions. Its recommendations included that firms should require the publication of the average cost of services on their websites. Mr Philip said the SRA agreed that “significantly improving information for the public and driving an open, healthy competitive legal market that provides affordable services” was the best way to deal with unmet legal need. Ms Doerries said the Bar Council would work with the CMA “to consider ways in which information about the services provided by the Bar, compared with unregulated legal service providers, might be improved for the benefit of consumers”. Legal Services Board chief executive Neil Buckley said the CMA report reflected “long-standing concerns about both the affordability and quality of legal services on offer, and the fact that a large proportion of the population and small businesses cannot afford such critical services”. Ms Dixon argued that the market for legal services “is already competitive”, and said recent research showed that “solicitors were already more likely than other advisers to provide information on costs and indicate how long the work would take”.